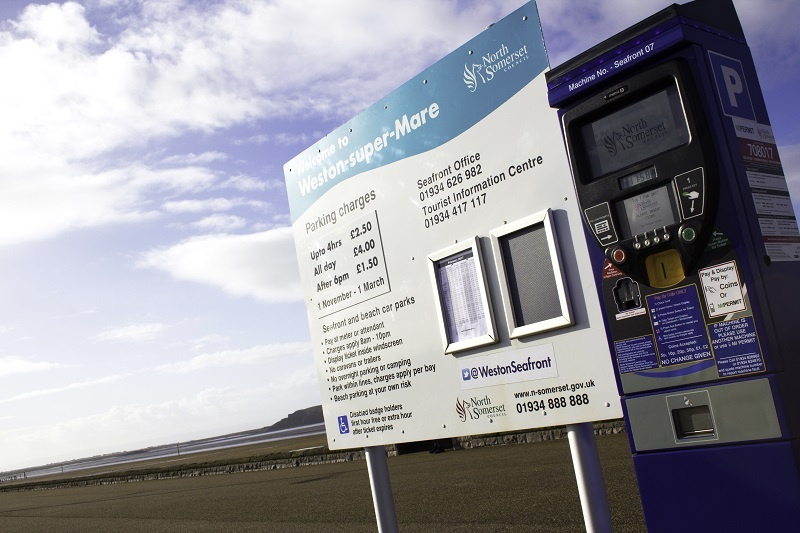 North Somerset Council in the UK has become the latest local authority to adopt new video screen technology as they upgrade their coastal parking machines. The new Elite LS terminals along the seafront of popular seaside town, Weston-super-Mare, are fitted with HD video screens which display vivid motion or static content to motorists using the machines. The screens provide the opportunity to sell advertising to local businesses, creating an additional revenue stream for the council. Parking services manager Allan Taylor says: "North Somerset Council Parking Services saw an opportunity for revenue generation through the selling of advertising to local businesses at a competitive rate, as well as somewhere to advertise official council notices and events to a wider audience. The ease and flexibility available when downloading the adverts to the machines was a main factor of choosing whether or not to purchase the screen option for our new machines." METRIC sales and marketing director Richard Boultbee says: "The value of the video screen is that it allows a council to increase their revenue from the parking machine without impacting the motorist."